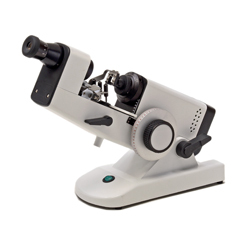 This Lensometer is EASY to use and operate. It is VERY precise and features an outer power reading, making the adjustments more accurate. Its built in light makes it EASY to see and focus the lens. The fully packaged weight is 15 pounds.